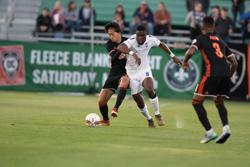 Orange County, CA (April 28, 2018) – The Colorado Springs Switchbacks FC lost on the road to Orange County Soccer Club 0-1 on Saturday night. Coming off of the first draw of the season against Seattle, the Switchbacks traveled back to California, but this time to face Orange County Soccer Club. 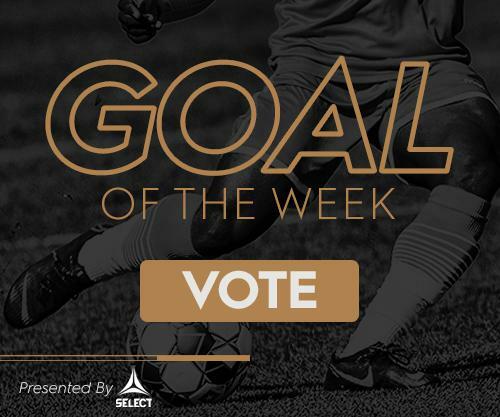 Early in the game, Orange County SC got into an attacking position that resulted in Josh Suggs going in for a tackle but giving away a penalty kick. Orange County got on the board first when Aodhan Quinn calmly scored the penalty kick in the sixth minute. In the fourteenth minute, Taylor Hunter and Jamal Jack combined to clear the ball off the line. The Switchbacks would grow into the game as Shane Malcolm and Josh Suggs forced Andre Rawls into making a few saves. Near the end of the first half, Moise Pouaty came up with a big save to keep the deficit 1-0 at the half. The second half started with a clearance off of the goal line from Josh Suggs. But after that, the bulk of the possession for both sides was in the midfield for the majority of the half. After the Switchbacks made a couple of substitutions to try to find the equalizer, Jordan Burt had an opportunity but Andre Rawls did well to make the save. In the last chance of the game, the Switchbacks almost scored off of a corner kick but Orange County scrambled to make the clearance off of the line. The Switchbacks return home to face Reno 1868 FC on May 5th at 6:00 PM for Cinco de Mayo. The first 500 fans in attendance will receive a plush seat cushions courtesy of Colorado Technical University. Tickets start at just $12 and are available here. Fans 21+ can get $1 beer the first 30 minutes when gates open at 5:00 PM.